Fat gets bad press but certain types are essential for a balanced diet and healthy functioning of your body. Avoid unhealthy saturated fats - these are what you'll find in higher fat dairy products, the visible fat on meat and processed meat products such as sausages, pies and pates. Steer clear of unhealthy trans fats which are found in many processed products and takeaway foods. The most important vitamins are vitamins A, B6, B12, C, D, E, K and folic acid. 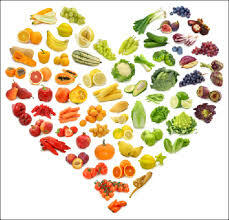 A healthy balanced diet that includes lots of fresh fruit and vegetables should provide you with most of these. If you think you're not getting enough vitamins, try taking a daily multi-vitamin supplement. Essential minerals include calcium, iron, magnesium, selenium, potassium, sodium and zinc. As well as fruit and vegetables, fish and dairy sources provide a lot of minerals. So if you're a vegan you may have to keep a special eye on your mineral intake.